It’s time to get back into the ring. 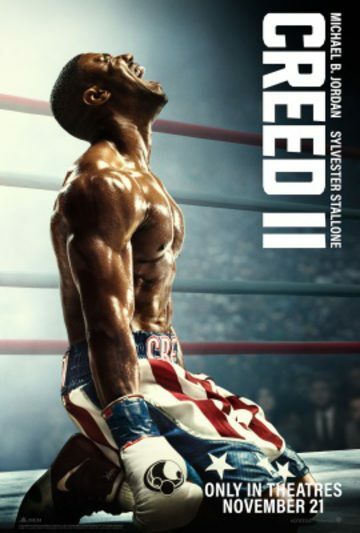 Because the first Creed was so good, we’re excited to offer you the chance to see Creed II for free before it opens. Click here to download an admit-two pass to the special advance screening being held on Monday, November 19 at 7:30pm in Salt Lake City. Passes must be exchanged for tickets and the theater is overbooked to ensure it fills, so please arrive extra early. We’ll see you there! Synopsis: Life has become a balancing act for Adonis Creed. Between personal obligations and training for his next big fight, he is up against the challenge of his life. Facing an opponent with ties to his family’s past only intensifies his impending battle in the ring. Rocky Balboa is there by his side through it all and, together, Rocky and Adonis will confront their shared legacy, question what’s worth fighting for and discover that nothing’s more important than family. Creed II is about going back to basics to rediscover what made you a champion in the first place and remembering that, no matter where you go, you can’t escape your history.